How do you beach your boat? Is is Hard or Easy to anchor to shore? 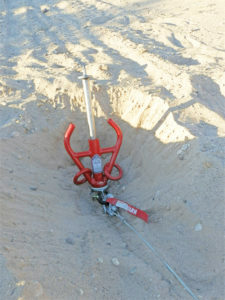 The All-Tie Anchor “Sports Compact” boat anchor is a handy land anchor for variety of soils. It makes it easy to land anchor your boat to the shore. It’s easy to drive into the ground to secure your boat and easily removed when you are ready to leave. No more digging to bury an anchor, or driving a stake into the ground and then have to dig it out. 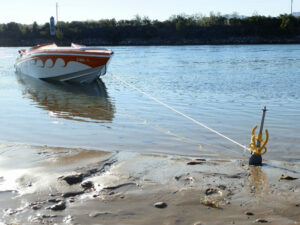 Land Anchoring your boat is now made easy. Known for making strong tools that have a range of applications, The All-Tie Anchor has established itself as a trusted brand. There are many reasons to trust your boat to an All-Tie Anchor. 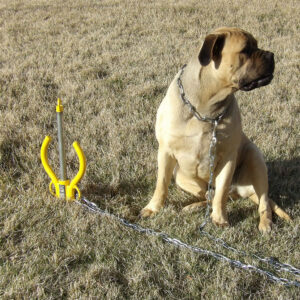 The All-Tie Anchor, boat anchor is both compact and lightweight. If you like to tie up along beaches, store it under one of your boat’s seats. 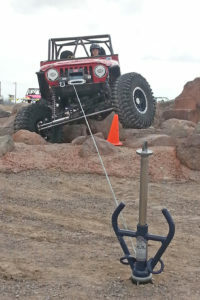 If you only need to for launching and taking out your boat, you can leave the land anchor in the back of your truck, SUV or car. Wherever you put it, you will barely notice it is there. It takes up much less room than other types of anchors. The All-Tie Anchor boat anchor is also light; it only weighs a few pounds. 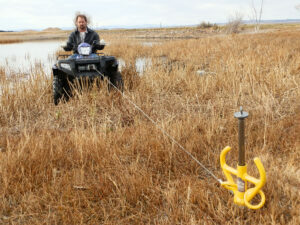 Unlike mud weights, the All-Tie Anchor drives easily into the soft ground to secure a boat. It does not rely on weight but on physics. If you are looking for a lightweight anchor that is easy to carry and move, a physics-based anchor like the All-Tie Anchor will be your best choice. 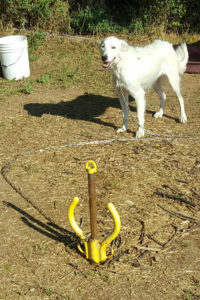 With a simple design, this anchor is easy to use. 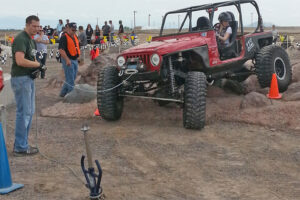 All you have to do is drive the anchor in the ground, . Once it is in place, tie your boat off on it. If there’s an onshore breeze or incoming tide, you may have to throw a weight off your stern to keep your boat in deep enough water. If the water is still or there is an offshore breeze, though, the All-Tie Anchor boat anchor may be fine without any additional equipment. 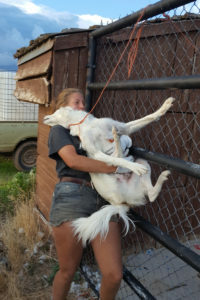 When it comes time to shove off, simply untie your boat and hammer up on the anchor. It will come out of the ground easily. 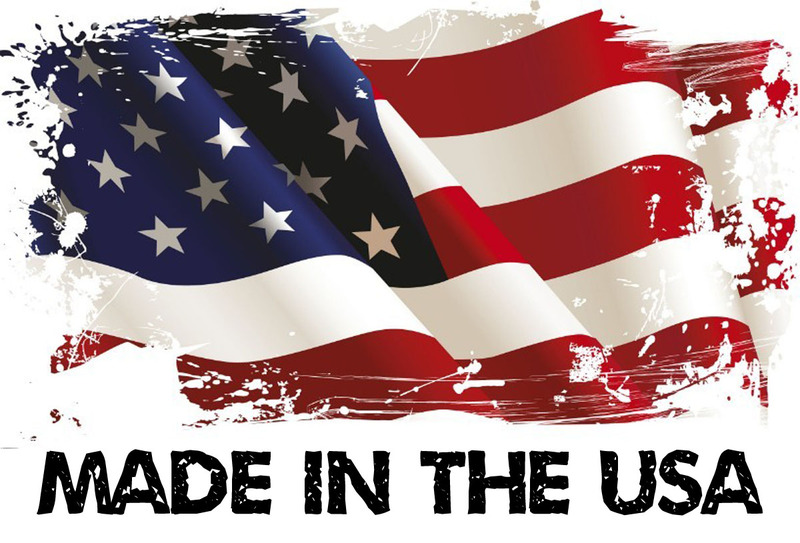 All-Tie Anchor builds their equipment in the United States. Build from strong materials, this anchor is solidly made. It will last for many, many boating seasons. Different Sizes for different application to anchor to. For a convenient and easy-to-use anchor, go with the All-Tie Anchor that is suitable for your boat. 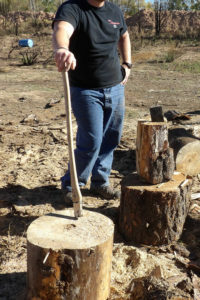 Chopping wood has been a pain in the back for years. 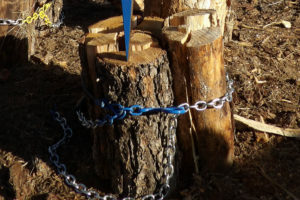 Whether it’s the constant bending over to reset logs or the imminent danger of a swing and miss, log splitting can be hazardous to your health. 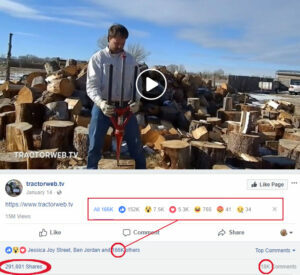 We wanted to take an age-old technique and literally hit the easy button for it. By taking advantage of natural assets like gravity and free motion, the Splitz-All practically does the work for you. 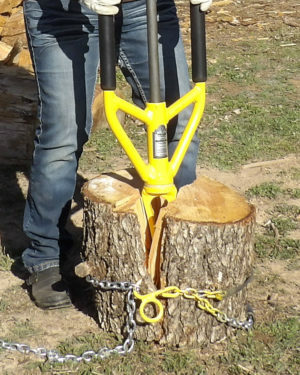 Made from the most durable of materials, the Splitz-All features a unique swivel design that eliminates those dangerous twists and turns to back muscles common in regular axe splitting. 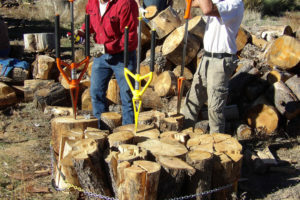 The log splitter we have for sale will do the job right the first time and save you the pain afterwards. Ease of use was a key design element during development of the Splitz-All. The product we sell comes in four sizes (small, medium, large and X-treme) to accommodate all different ages and sizes of wood. The cutting edge technology eliminates as much stress as possible and delivers an experience that is almost too good to be true. In fact, the Splitz-All works so well it feels like it is doing all the work for you. Slide Hammer. 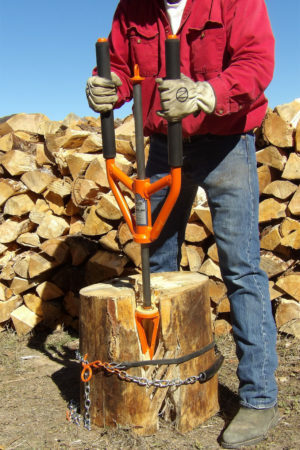 Utilizes the forces of gravity to hammer down on logs in a controlled and precise delivery and eliminates the chances of misses that could result in personal injury to you or others in the area. 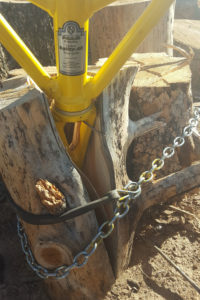 The hammer action can also help unstick the wedge if it ever manages to get stuck in a log – a feature notably unavailable in conventional axe swings, where a lot of excess effort can result from removing a wedged axe head. Long Handles. The Splitz-All offers extraordinarily long handles to accommodate both short and long logs. 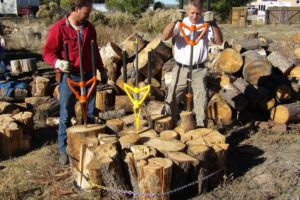 By simply shifting the grip up or down on the handles, the operator can switch between logs that are higher up or lower to the ground. This is especially useful when dealing with an assortment of log sizes. Space Saver. 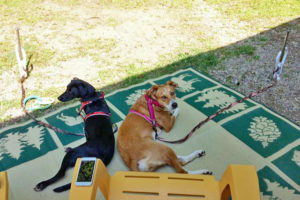 Eliminates the need for large swing radiuses. 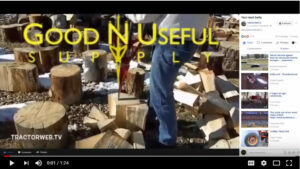 The Splitz-All goes straight up and down and does not require the range of motion needed for during axe cuts. A swivel effect maximizes this potential allowing the operator to quickly change positions without the added effort to lift and turn the splitter. Portability Plus.The Splitz-All offers a hand grip on the upper end of the wedge shaft for quick readjustment or the splitter can be turned with the wedge tip facing upwards for longer transportation.